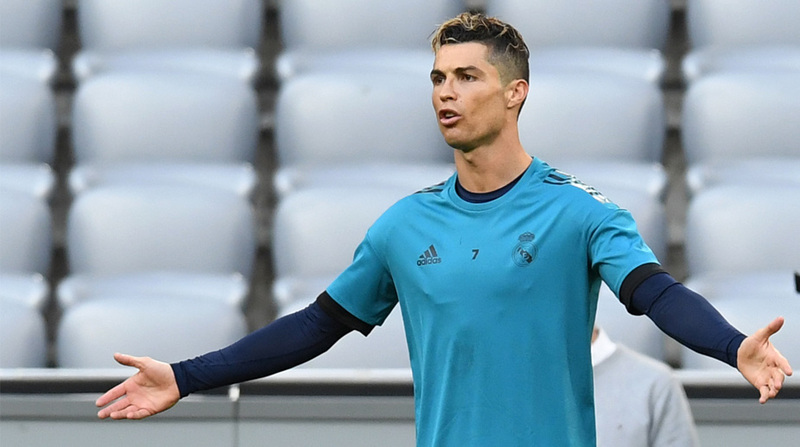 Real Madrid showed both sides of their game as they warmed up for next Saturday’s Champions League final with a 2-2 draw away to Villarreal. The first half, during the match on Saturday, saw Real Madrid open a 2-0 lead thanks to goals from Cristiano Ronaldo and Gareth Bale, who strengthened his claim to start in Kiev, with his 3rd goal in two games, Xinhua news agency reported. However, following a good first half, Real Madrid lost concentration after the break and the home side got back into the games with Roger Martinez’s strike and Samu Castellejo equalized in the closing minutes after Marcelo made a mess of springing the offside trap. Saturday kicked off with Celta Vigo strikers Iago Aspas and Maxi Gomez scoring two goals each as their side ended a disappointing campaign with a 4-2 win at home to Levante, whose two goals came from Ruben Rochina and Jose Luis Morales. There was a happy goodbye for Leganes coach Asier Garitano whose side beat Betis, despite seeing Diego Rico sent off in the first half of their 3-2 win thanks to goals from Dimitrios Siovas, Naranjo and Nordin Amrabat. Malaga’s miserable season ended with just 20 points following a 1-0 home defeat to Getafe, who won thanks to a Loric Remy penalty, while Las Palmas go down with just 21 after Christian Stuani’s 20th and 21st goals of the campaign gave Girona a 2-1 win in the Canary Islands. Wissam Ben Yedder’s first half goal allowed Sevilla to defeat Alaves 1-0 to allow Joaquin Caparros to leave with 3 wins and a draw to show from his four games back charge after 13 years away from the club.